Heat gas or charcoal grill. In small bowl, mix olive oil, salt and pepper. Brush vegetables with olive oil mixture; toss with garlic slices. Place vegetables in grill basket. Place basket on grill over medium heat. Cover grill; cook 15 to 20 minutes, stirring occasionally, until vegetables are crisp-tender. Serve warm. 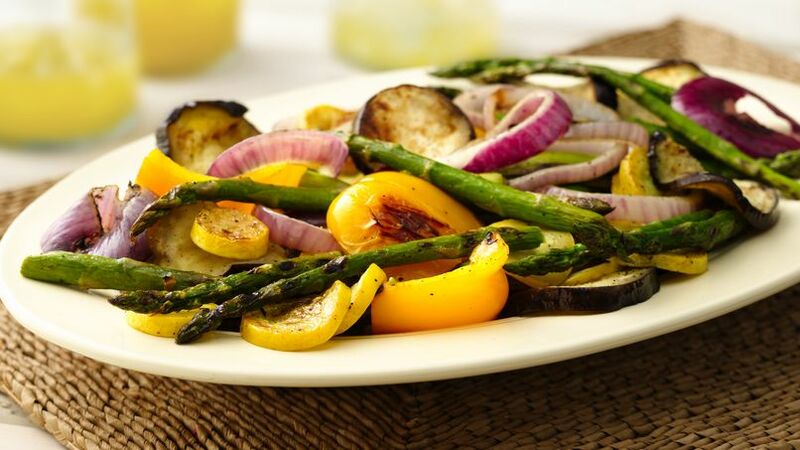 Enjoy these garlic flavored grilled vegetables – a tasty side dish.